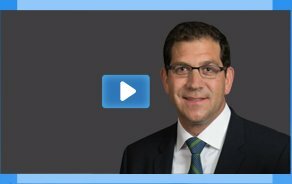 Gabriel S. Levi, MD, director of Joint Replacement and Sports Medicine prides himself and the practice on providing personal care to the patient and making a lasting impact on their well-being. Dr. Gabriel Levi is the chief of orthopedic surgery at Presence Saint Francis Hospital, as well as Presence Saints Mary and Elizabeth Medical Center. Learn more about ORC and Dr. Levi in this exclusive Patch one-on-one. 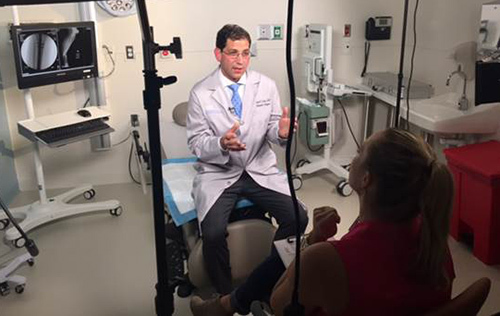 Illinois Masonic orthopedic surgeon Dr Gabriel Levi and his patient Katie Carson were interviewed today for WGN's program Living Healthy Chicago. In 2011, Katie suffered a severe tibia and fibula break while playing soccer. When she saw that her leg was bent at nearly a 90-degree angle, she thought she would never walk again. She was brought to Illinois Masonic, where Dr Levi inserted an intramedullary rod. Two days later, Katie was able to weight bear. Six months later, she was able to run a half marathon! WGN interviewed both Katie and Dr Levi at Illinois Masonic for the story. 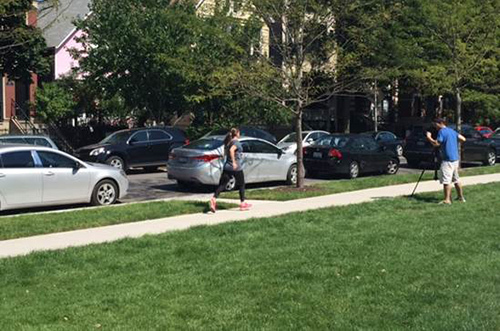 They also captured some B-roll footage of Katie running in the park outside the CAC! I'm including a few behind-the-scenes shots below. Many thanks to Dr Levi and Jequeatta for sharing this wonderful story with us! If you'd like to tune in, the segment, which will be part of a bone health show, will air on WGN on Sunday, Oct. 11, at 11:30 am. Gabriel S. Levi is a fellowship-trained orthopaedic surgeon at ORC. He completed his fellowship training in joint reconstruction at the world-renowned Insall Scott Kelly Institute in New York City. His specialties include joint reconstruction and sports medicine. Dr Levi has a special interest in cartilage injuries and joint replacement of the knee and hip. He is also bilingual in Spanish and English. Physical therapy after total hip (THR) or total knee replacement (TKR) surgery is standard care for all patients. A new study, appearing in the Journal of Bone & Joint Surgery (JBJS), also found that physical therapy before joint replacement surgery, or "prehabilitation," can diminish the need for postoperative care by nearly 30 percent, saving an average of $1,215 per patient in skilled nursing facility, home health agency or other postoperative care. Knee osteoarthritis. It can start out as an occasional twinge that eventually becomes a constant pain, making it difficult to walk, stay active or just get through the day. And when joint degeneration starts affecting your life, you may start thinking about surgery. You're not alone. Knee replacements have become increasingly common among younger women, according to a January 2012 Finnish study published in Arthritis & Rheumatism. Read on to learn what you need to know about knee replacements. Vitamin E isn't an antioxidant just for your skin and nails anymore - it's expanding to joint implants. Demand for joint replacement surgery, once confined largely to patients well past retirement age, has been growing rapidly among a class of people doctors have dubbed the "young actives" - those in the 45 to 64 age group who are determined to stay fit. Still, even with the rise of obesity and longer lives, public health researchers say the rate of joint replacement failures requiring revisions is about 1 percent a year, mostly in the relatively younger patients who "outlive" the 10-to-20-year working life spans of their replacement joints. And as technique and technology have improved, the rates of infection, dislocations, and other complications have declined. But she added a note of caution. "What we could expect to see in the future is the people in the 45-to-64-year-old category coming back to get revisions" - new knee replacements in second surgeries. With any luck, the second implants could be better.